Can Google become a social company? The general belief is that Google desperately wants to become a social company. Why? Because social will soon become the default state of the Internet. These stats will give you sense of where we’re headed. At this point Google can’t become a social company, but they can own essential pieces of social networks, specifically social objects. To put is simply, social objects are any reason for two people to be talking. Think of why you are connected to certain people on Facebook. You work with them. You went to college together. You’re on a team together. You’re the fan of the same band. You own the same type of motorcycle. There are only about 1 million reasons for people to be connected and share things. 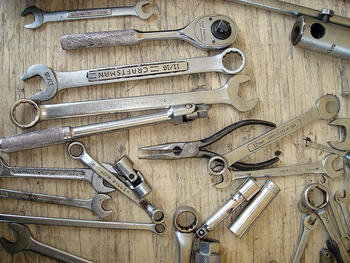 When I think of Google, I think of amazing tools (excluding most of the items on this list). The new maps on Android, Google Earth, Google Voice, Google TV to name a few. They have created products that are so amazing they become social objects. They’re the reason you reach out to a friend. “Have you seen the Ocean update to Google Earth?” or “Have you heard that Google Maps is going to feature the inside of businesses?” Even if you’re not a geek like me, some of these offerings make it all the way to the mainstream. The point is that Google can’t own the ecosystem that those conversations happen in, (rhymes with Spacehook) but they can own a significant chunk of the really valuable conversations through their amazing products/services. (Honestly, I believe that Google simply needs to market themselves better to the masses. When I tell people about Google Voice, they look at me as if my space ship just landed. Then after thinking about it for a while they have to have it.) If you’re reading this blog, chances are that you know more than the average person. Google needs to get to the average person to push their products into the minds of those users. If they do that, they can become a social company. I enjoyed this article as a whole, but was particularly struck by your point that Google needs to market some of its tools better to the masses. On the one hand it often seems like Google IS the Internet and can do no wrong, but on the other hand, they have had some fairly bad flops over the years, particularly in the social space. It does seem like they don’t market those new products well in some cases — at least not well enough that they become mainstream. I know of zero people who use Google Buzz on a regular basis. I am the only one I know of who uses Google Voice on a regular basis. That’s obviously just anecdotal, and it will be interesting to see where they take these products and ones they release in the future. At this point, I think of Google as the plumbing of the Internet. Except for Android, they’ve struggled with product success for the masses. Success is usually in the tech niche. And I think that’s because most just don’t know about some of their products. And . . . I could be wrong. Google has a long way to go to compete with Facebook. They’ve rolled out the +1 feature, but I’m not sure that will take off. As you’ve mentioned, Google tends to struggle when it comes to social. Amazon watches eBay go after hyper-local market. What about Google and Facebook?